Art Fest 2018 is almost here! 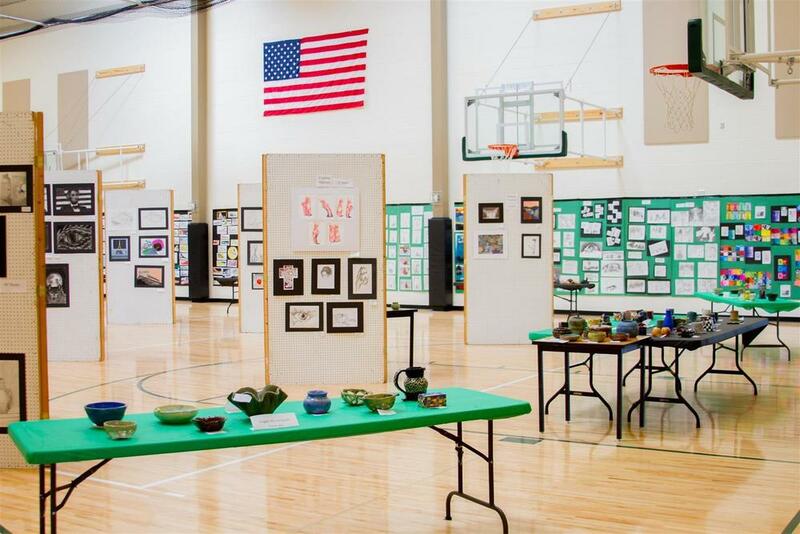 Art Fest 2018 starts next week on Monday, June 4 and runs through Thursday, June 7 featuring more than 1,000 pieces of art from all grade levels Kindergarten through 12th on display in the auxiliary gym at Woodland High School. In addition, there are free events throughout the week including live music and dramatic performances. Join us for this once-a-year celebration of our students' dedication to creative and performing arts! Gallery Hours – 5 p.m. to 8 p.m.
Choral Pops Concert – WHS Commons – Free – 7 p.m. This concert will feature the 5-6 WMS Beginning Choir, 7-8 WMS Trojan Choir and the WHS Concert Choir. Each choir has been working hard all year to prepare to sing familiar songs to our audience. Advanced Drama Originals – WHS Commons – Free – 7p.m. “Advanced Drama Originals” is an evening presentation of three short 10-minute plays written, directed, and performed by WHS students. This year’s show features two action-packed, high energy dramas -- No Freedom and The Wrestler – and one dark tale of pain, The Marionette. All three plays would likely be rated PG-13 due to intensity & teen humor.